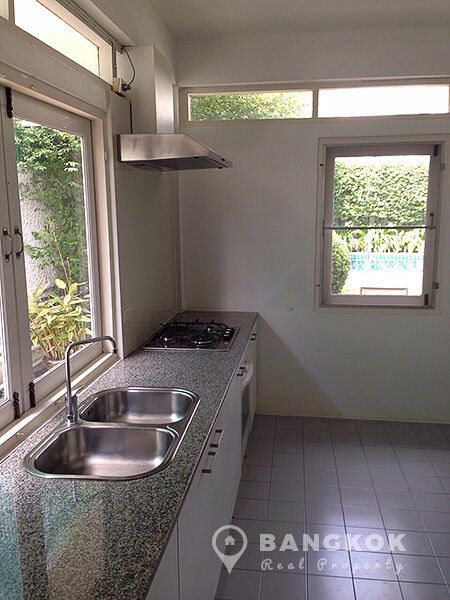 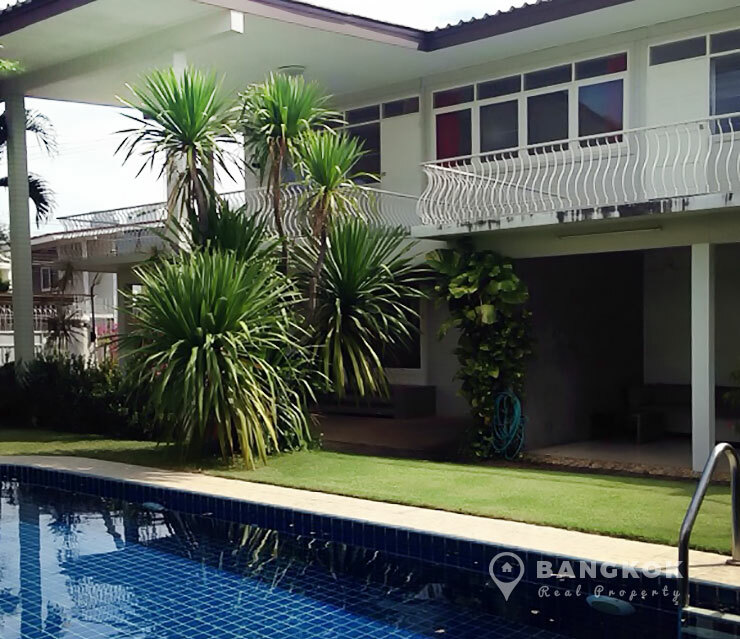 A spacious, bright and airy 3 bedroom detached house for rent in Phra Khanong is now available situated in a quite leafy, residential soi off Sukhumvit 71. 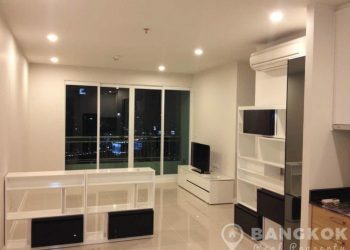 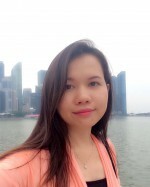 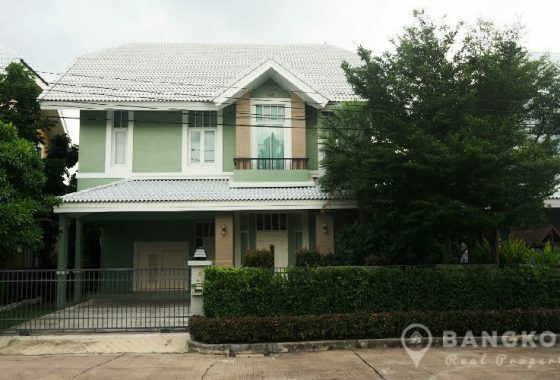 This house for rent in Phra Khanong is located within easy reach of many local amenities including MaxValu Supermarket, Gateway Mall, Major Cineplex, Tesco Lotus, many international schools and also Phra Khanong BTS. 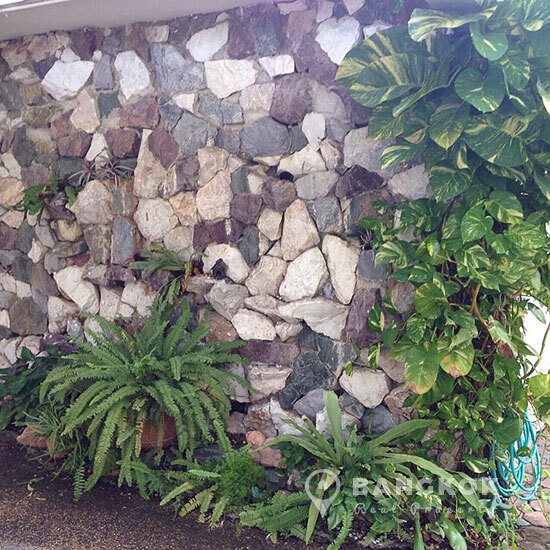 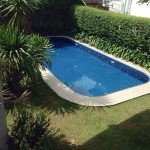 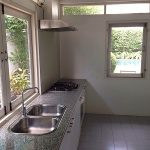 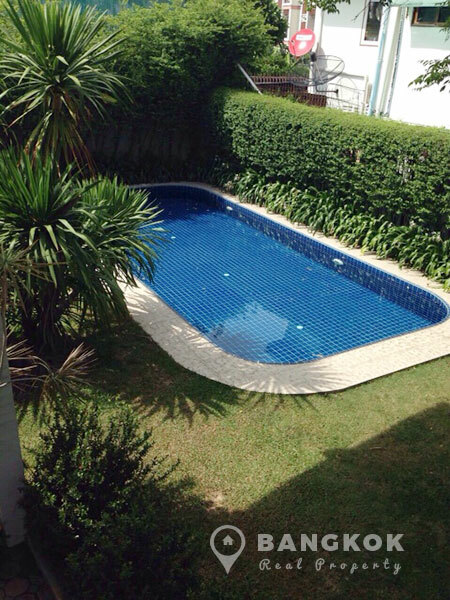 This house for rent in Phra Khanong is set on a plot of 170 sq.wah (680 sq.m) with a large garden and private swimming pool. The house with 300 sq.m has 3 bedrooms, 4 bathrooms, a large European style kitchen, separate maids accommodation and plenty of storage space. 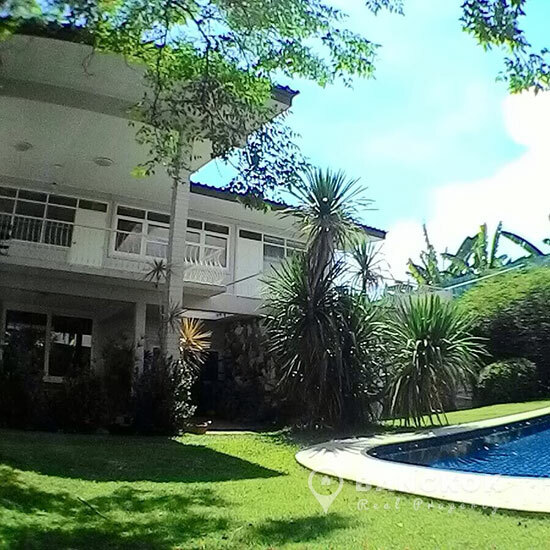 Modern Detached house with 3 bedrooms, 4 bathrooms, 300 sq.m, maid rooms with large garden, 170 sq.wah and private swimming pool.